In this newsletter, you’ll find essential oil blends that can boost your immunity and help you feel healthy. This is the time of year when weather is changing in many parts of the world. In some places, leaves are falling. In others, sweet buds are appearing on trees. There is so much beauty in all this change . . . but sometimes our bodies have a hard time keeping up! But who wants to deal with a whole season of possibly being sick? I want all of our Aromahead community to spend time enjoying life! So this month I’m going to share a few recipes that can boost your immunity and help you feel healthy. You’ll find a few inhalers recipes, a body oil made with Myrrh essential oil, and information on which essential oils you can lean on during cold and flu season. Aromatherapy gives us a natural way to take a proactive approach to health. We can use essential oils to feel energized during the day, to feel relaxed at night, to clean our hands when we’re in public, to keep our homes germ-free, and (of course!) we can inhale their beautiful aromas to fortify our immunity and reduce infections. And this is just the beginning! Keep your favorite blends with you during “cold and flu season,” and you can support your body (and heart) through this time of transition. That’s what I wrote about this recipe in my book, The Heart of Aromatherapy! This is a body moisturizer made in a base of Trauma Oil (which is a carrier oil that’s been infused with 3 healing herbs: arnica, St. John’s wort, and calendula). It’s a wonderful friend to have by your side when you’re sick, since it can support immunity and ease aches and pains that come along with respiratory discomfort. Make this blend in a 1 oz (30 ml) glass bottle. Combine the Trauma Oil and essential oils, shake gently, and use your blend as a moisturizer or for self-massage when you’re under the weather. You can also use this to help yourself stay healthy. 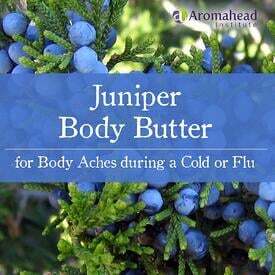 In addition to soothing body aches and supporting respiratory health, Juniper is actually one of my favorite oils for relieving joint pain. What is it that draws you to Aromatherapy? How do you use essential oils in your life? I think all of us have slightly different answers, but we all have something in common, too . . . we like to use natural products for well-being, and we know essential oils work! Jennifer Cakus is an Aromahead Graduate who took her love of essential oils, and turned it into a profession. She started Lilac Dreams, an Aromatherapy shop on Facebook. (Did you know that you can create a shop right there on Facebook? Amazing! Social media is such a great tool for helping us connect and grow.) She has both a Facebook page, and a shop. On her Aromahead Graduate Directory profile, Jennifer says, “We specialize in the use of natural, clean, and chemical-free products. Our primary focus is on the use of essential oils. We believe that using plant-based and natural material is a better option for health, and wellness.” She sells her own lip balms, massage and body oils, deodorant, foam soap, and more. 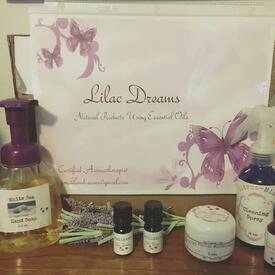 Lilac Dreams is a perfect example of how you can take your passion and turn it into your purpose, creating community and growing a business around what you love. You can do it in a way that fits right into your lifestyle, and as your business grows, so will you. Give Jennifer’s Facebook shop a visit and “like” her page if you can! Well, it could be you saying that quote! All you need is the knowledge of which essential oils are excellent at preventing colds and the flu, and how to use them. And I have good news! I have a 3-hour video class that will teach you everything you need to be successful. There is a lot to know about using essential oils to keep your family healthy this season. Fortunately, you don’t have to study for months, and you don’t need a collection of dozens of essential oils. This class will show you how to use 5 “powerhouse oils” to make the blends you’ll need. After 3 hours, you’ll be able to make a variety of effective blends for everyone in the house . 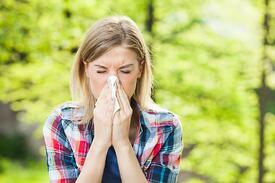 . . and you can revisit the information every time cold and flu season comes around. 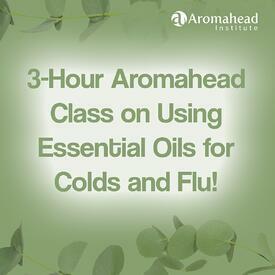 Protect your family from colds & flu using essential oils! I often find Bergamot to be like a familiar stranger . . . it’s a citrus so its scent is very familiar, but at the same time it’s a bit exotic. We don’t commonly eat Bergamot fruits because they’re too sour. 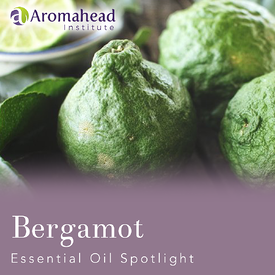 We primarily use Bergamot for its bright, sparkling aroma. Trello is an app that lets you organize and manage projects, whether you’re working by yourself or have a big team of people on your side. Sometimes big projects involve a lot of tasks, and keeping everything organized—who is working on what part of the project, how far along are they, do they have everything they need to complete their part of the task, can they easily connect with other members of the team?—can get confusing. Trello really simplifies this! Here is a tutorial I found on YouTube that explains how Trello works. It’s a quick video that can give you some insight into whether this would be a good app for you and your team. You can assign team members to different projects, and create checklists of things to do so the project gets done on schedule. (You can even assign different people to different “points” on the checklist!) Trello has so many options for staying organized and on top of what is getting done, and it’s so reassuring to be able to watch the progress of everything unfolding! You can learn more and sign up for free at Trello’s website. Aromahead Video: We are CELEBRATING! Aromahead’s YouTube channel has reached 50,000 subscribers—and counting! Do you follow our videos on YouTube? We release unique recipes every two weeks. I LOVE YouTube as a platform for a few reasons . . . It is a great way to see for yourself how to make all-natural recipes that get results! You can use our playlists to create your own collections of recipes—for example, we have playlists called “Aromatherapy for Kids,” “Bye-Bye Pain,” and “Need Help Relieving Allergies and Colds?” Each playlist is FULL of videos with safe, effective blends. Watching videos by reliable sources is a great way to advance your education. You can make the recipes right along with me, pausing and replaying as much as you like. 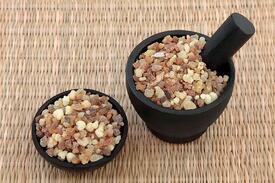 I know that you have a lot of options for finding Aromatherapy recipes online. 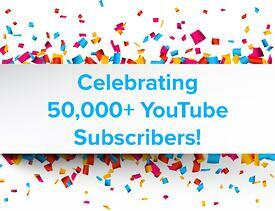 That’s why I am SO excited to see our YouTube channel surpass 50,000 subscribers from all over the world! It shows how much people value using essential oils in a way that is research-based, safe, and effective. It's so easy to subscribe. Just click the link below, and look for the red "Subscribe" button. SUBSCRIBE and we’ll notify you when we publish a new video! One of our most recent videos is about making an Essential Oil Daytime Inhaler for Colds and Flu. The essential oils in this inhaler can help to calm a headache, reduce congestion and give you more energy. Just keep this inhaler in your back pocket and use it all through the day, it will really help! Using essential oils to stay healthy is about overall balance. It’s about getting enough sleep, calming your stress levels, reducing germs in your environment, and more—and essential oils can help with ALL of these areas. At Aromahead, we can teach you to use them safely and successfully so you stay at the “top of your game.” I hope you find yourself feeling better and better . . . and please enjoy the recipes!